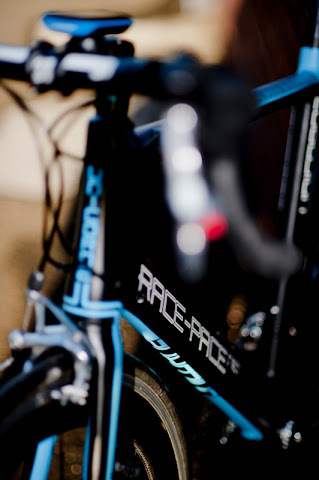 Keeping your bike clean and in good working order is a pre-requisite of a trouble-free road run. 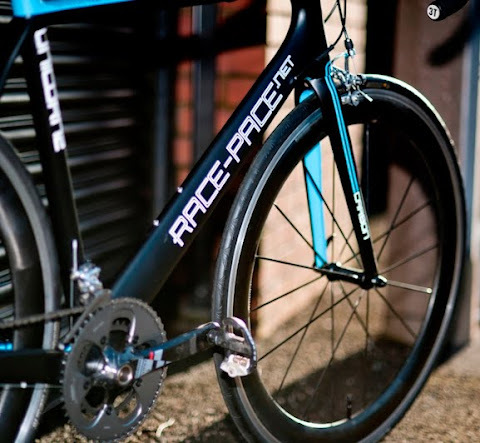 Particularly through the winter, it's important to keep your bike clean, particularly due to the amount of grit on the road. I clean my bike down after all rides in the wet. Keeping your prized investment in good working order will prolong it's life. 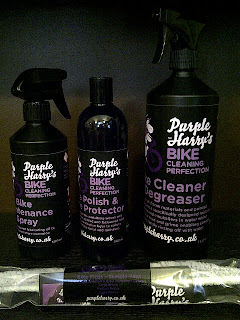 I've recently become a convert to Purple Harry's cleaning products. 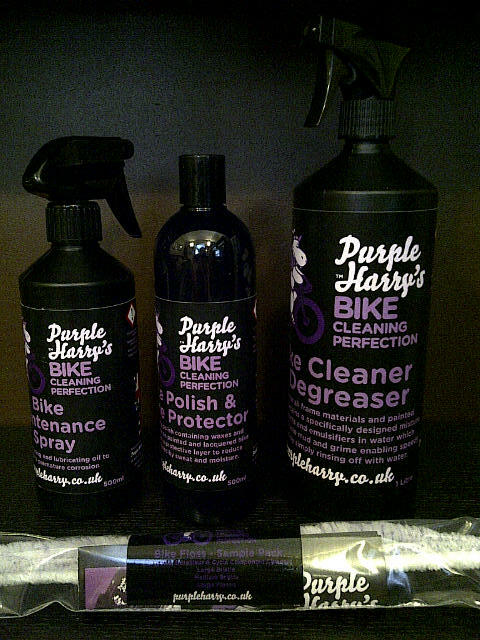 I like Purple Harry's as they are UK business, which always gets my vote when it comes to share of my cycling wallet. I'm always keen to support smaller businesses and Purple Harry's are a great example of a couple of guys doing something differently. I've been using four of their products (see pic). 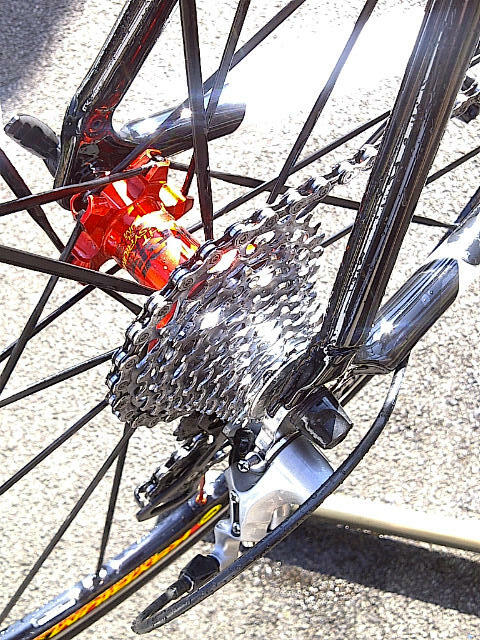 1) Cleaner/De-greaser 2) Bike Maintenance Spray 3) Polish and Protector 4) Bike Floss. 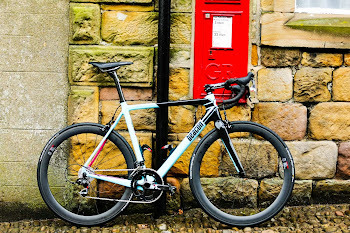 The cleaner/de-greaser does what it says on the label, a good spray all over the bike loosens off the dirt and brake dust post-ride. 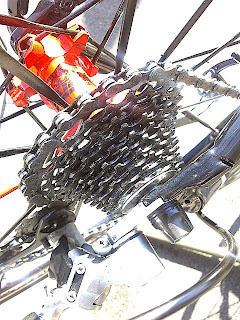 With a soft cloth and some water, you can clean your bike really quickly. Today, it took me five minutes from arriving home to having the bike back in the garage. Post wash and dry, a quick spray over with the bike maintenance spray, ensures that everything stays lubricated. I don't use the polish/protector after every ride, but it's good to have a product which can keep your paint in decent condition. Like waxing a car it's easy to apply, leave it on for a few minutes and polish off. Of the four products, the one that stands out with me most is the bike floss, like a bike pipecleaner, which allows you to get into those hard to reach areas. 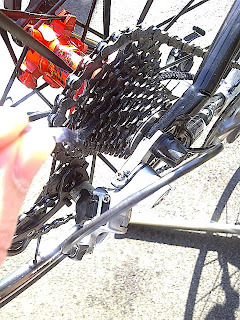 Here's my rear cassette before/after a going over with the floss. 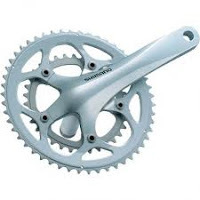 As you can see it's positively gleaming. The key thing is that I got it to this condition after only two or three minutes work. You can buy the floss in various sizes, so theres a floss for those really awkward bits of your bike. Each floss last for five or six cleans before disposal. All the spray based products are hand pump, not aerosols, which get my vote. Spray based cleaning products contain a lot of compressed air, so you know that you're getting a bottle full of products with hand pump products. They are all available readily on eBay here, so no major fuss getting hold of them. Give them a try.